What possesses an audit partner to trade on inside information and violate the accounting profession’s most sacred ethical standard of audit independence? Is it carelessness, greed, or ethical blindness? In the case of Scott London, the former partner in charge of the KPMG’s Southern California’s regional audit practice, it was a bit of each that motivated him to violate ethical standards and, in the course of doing so, causing the audit opinions signed by London on Skechers and Herbalife to be withdrawn by the accounting firm. Overall, London is charged with leaking confidential information to his friend, Brian Shaw, about Deckers, Pacific Capital Bancorp, Manhattan Beach-based Skechers, and Los Angeles-based Herbalife. The leak of information about quarterly earnings information led to Shaw’s unjust enrichment of $1.27 million. Shaw, a jewelry store owner and country club friend of London, repaid London with $50,000 in cash and a Rolex watch, according to legal filings. The leaking of financial information about a company to anyone prior to its public release affects the level playing field that should exist with respect to personal and business contacts of an auditor and the general public. It violates the fairness doctrine in treating equals, equally, and it violates basic integrity standards. London and Shaw acted in a way that cuts to the core values of integrity and trust – the real foundations of our free enterprise system. The KPMG scandal concerns me because a pattern of such improprieties may be developing. In 2010, Deloitte and Touche was investigated by the SEC for repeated insider trading by Thomas P. Flanagan, a former management advisory partner and a Vice Chairman at Deloitte. Flanagan traded in the securities of multiple Deloitte clients on the basis of inside information that he learned through his duties at the firm. The inside information concerned market moving events such as earnings results, revisions to earnings guidance, sales figures and cost cutting, and an acquisition. Flanagan’s illegal trading resulted in profits of more than $430,000. In the SEC action, Flanagan was sentenced to 21 months in prison after he pleaded guilty to securities fraud. Flanagan also tipped his son, Patrick, to certain of this material non-public information. Patrick then traded based on that information. His illegal trading resulted in profits of more than $57,000. The KPMG case is a particularly egregious one because it involves insider trading by an auditor of client stock. This incident jogged my memory and I came up with a characterization of London’s actions as “stupid is as stupid does.” Forrest Gump quotes are uncomplicated, basic and true. They are almost Zen-like in their simplicity. This one fits Scott London’s actions perfectly. However, in public accounting stupidity is not a defense for violating the independence standard that protects the public from shortsightedness and egoistic behavior on the part of auditors who are charged to protect the public interest. This isn’t the first time in recent years that KPMG has been investigated for gross violations of ethical standards. In 2005, KPMG agreed to pay a hefty fine of $456 million and cease its private client tax practice after admitting that it defrauded the government and the IRS in a major tax shelter scandal. The firm agreed not to develop, sell, or implement any pre-packaged tax products. Three staff members were sentenced to serve terms ranging from 6 ½ to ten years in prison as a result of providing opinion letters that endorsed the shelters and helped KPMG’s wealthiest clients claim bogus losses to offset their massive capital gains. Public accounting firms have an ethical obligation to monitor the actions of its partners, managers, and staff that may impair audit independence. The failure in this instance of KPMG is in its lack of quality controls to prevent and detect violations of basic ethical standards. I call on the California Board of Accountancy to investigate the KPMG insider information case for the firm’s failure to properly oversee its own internal controls on safeguarding client information and monitoring the independence standards that underlie audited financial statements and build trust in our financial reporting system. Update: On May 6, following publication of this article, jeweler Bryan Shaw reportedly agreed to plead guilty to conspiracy for allegedly making illegal stock trades based on inside information given to him by KPMG partner Scott London. Steven Mintz is a professor in the Orfalea College of Business at Cal Poly San Luis Obispo. 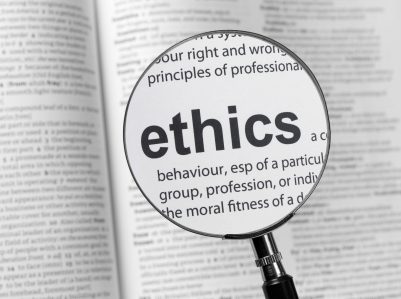 Dr. Mintz blogs about ethics issues at: www.ethicssage.com.